Officially called the Kingdom of Bhutan, Bhutan is a landlocked country in South Asia. Located high in the Himalayas, it is bordered by China in the north and west, and India to the south and east. It is the second least populous nation in South Asia next to the Maldives and is one of the least visited countries in the world. 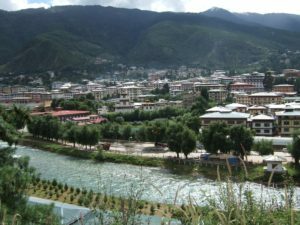 Situated more than 8000 feet above sea level, the capital city of Thimphu is the 4th highest capital in the world by altitude. 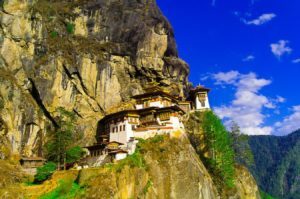 Bhutan is fiercely proud of its history, having endured centuries of conquerors attempting to colonize the Thunder Dragon kingdom to no avail. 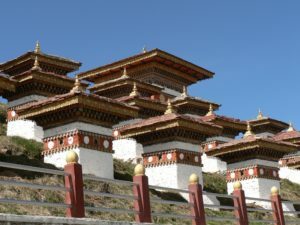 With its strategic location along the ancient Silk Road that connected Tibet, India, and Southeast Asia, Bhutan developed a national identity that is distinctively Buddhist. The Kingdom is ruled by a hereditary ruler called the DrukGyalpo, the Dragon King. Alongside him, the people also look to the Zhabdrung Rinpoche, a Tibetan Buddhist Llama said to be the reincarnation of the founder of the Bhutanese state. Prior to the 20th century, Bhutan was a Buddhist theocracy consisting of numerous regional lords. This all changed when the House of Wangchuk united Bhutan under a single flag and instating an absolute monarchy. In 2008, Bhutan transitioned into a constitutional monarchy and held elections for the very first time. 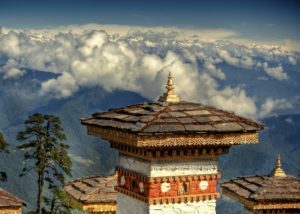 Bhutan’s landscape is legendary in beauty, with lush plains in the south and the mighty Himalayas up north. 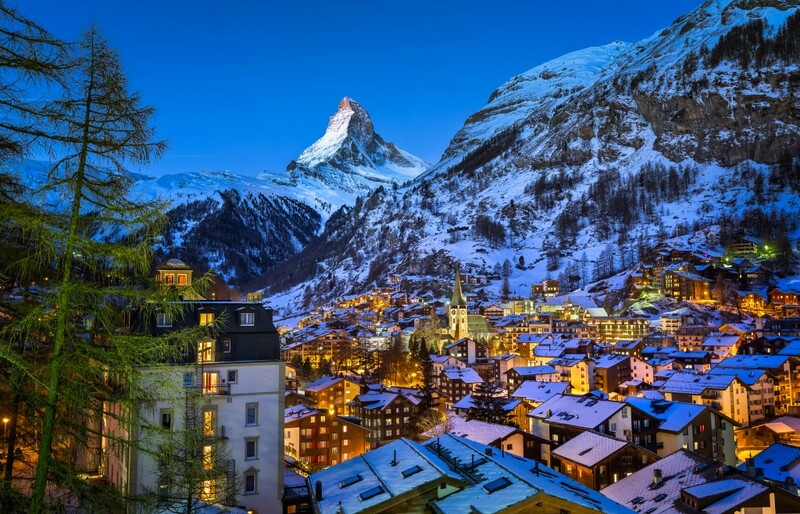 The country also has the notable distinction of having the highest unclimbed mountain in the world: Gangkhar Puensum, towering over the Himalayas at an excess of 24,000 feet, remains unconquered, much like Bhutan itself. Because of the varying landscape across Bhutan, the wildlife is also notable for being one of the most diverse in the world. 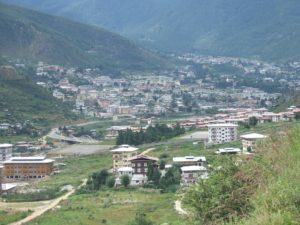 Many people have started referring to Bhutan as “The Last Shangri-La” not just for its unspoiled natural beauty, but also because of the idyllic living conditions of its people: Bhutan regularly tops the list of South Asian nations in terms of economic freedom and is ranked 1st in the ease-of-doing-business index. 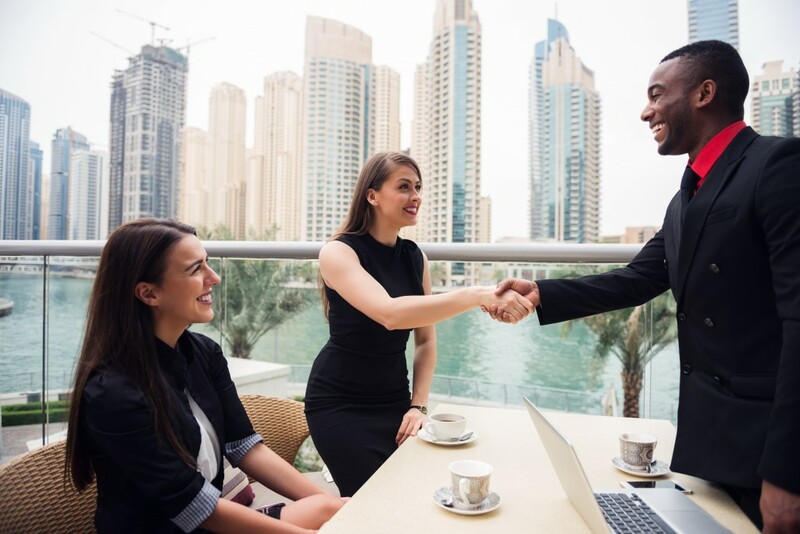 Despite the lack of developed urban areas, Bhutan retains very high levels of satisfied citizens, with the government promoting the concept of “gross national happiness”, a philosophy of maintaining the collective happiness and positive well-being of the people. As an environmental frontier, Bhutan is the only carbon-negative country on earth. 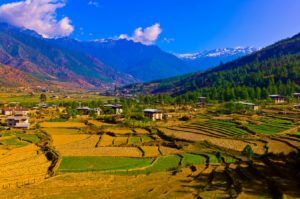 This means that Bhutan not only enjoys zero greenhouse emissions, but the sheer amount of greenery (72% of the country is forested) has effectively turned the state into a carbon sink. 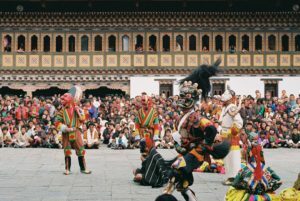 To maintain Bhutan’s unique position as a cultural and environmental leader in the area, the government strictly controls and regulates tourism in the area. Bhutan has successfully kept away the tourist horde by imposing a US$250 per day per person “tourism tariff”. This alone has turned off even the most seasoned travelers away from Bhutan. A budget travel place, Bhutan is not. 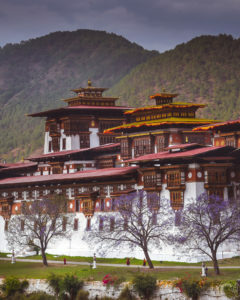 However, one thing people fail to realize about Bhutan’s tourism tariff is that it in an all-inclusive fee: accommodation, food, entry fees to various museums, private transportation to-and-from the airport and the city and other destinations, even a dedicated tour guide. Well, the tour guide is a must; the Bhutanese government strictly controls where tourists can and cannot go in the Kingdom, but this is less to hide human rights violations (Hey there, North Korea), and more of an effort to preserve their cultural heritage. After arriving at the Paro airport (the nearest one to the capital), we took a three-hour long drive to Thimpu. Unfortunately, I had slept most of the way, but my wife says that the road to Thimpu was rife with panoramic views of the Himalayan highlands, idyllic plains, rivers snaking their way through the earth. I can’t believe I missed it! But not to worry, she says, we’re passing by there on our way back, so we can take in more of Paro later. Upon arrival at Thimpu, we were taken to our more-than-budget hotel, a beautiful lodge built in the early 1900’s as a rest place for British diplomats. After a quick wash-up, we decided to take a walk around the city before lunch (which would be served at the hotel). Thimpu is a gorgeous city, filled with polite, albeit shy, people who smile as you pass by. Our guide notes that Thimpu is only one of two capital cities in the world without a traffic light (the other is, you guessed it, Pyongyang in North Korea). In place of unsightly traffic lights, smartly-dressed traffic police regulate the comings and goings of cars, which are few. No gas-guzzling 4×4’s here! With our guide, we make our way to the bazaar area, a charming and colorful place filled with shops selling anything from Buddhist prayer wheels and iPhone cases, to thangkhacloths and octo-core gaming laptops. This mish-mash of tradition and modernity was something that struck us immediately: it’s not uncommon to see groups of Budhhist monks in full traditional garb hunched over their uber-modern smartphone (I like to think they’re playing a Buddhist version of Candy Crush). From the bazaar, we made our way back to the hotel for lunch. We were served a traditional meal of zowshungo, which is a rice dish with stir-fried vegetables, and ema datshi, fiery chili peppers smothered in a cheese sauce. 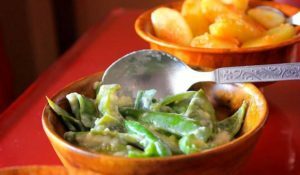 Bhutanese cuisine employs a lot of chilis; where in other countries chili peppers might be added for flavor, Bhutanese food uses chili pepper as the main component of various dishes. As chili lovers ourselves, my wife and I absolutely loved it. After a round of traditional tea called Tsheringma (served in these beautiful antique porcelain pots with traditional Bhutanese dragons to keep it hot), we resumed our walking tour of the city. Our next stop was the National Institute for ZorigChusum, a government-funded center that aims to promote traditional Bhutanese arts and culture to people. 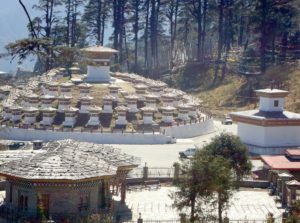 Here, students can choose to master one of the 13 traditional Bhutanese arts, ranging from woodcarving to cloth painting. After watching a few students master their craft, we left to wander some more. Our guide suggests we go to Changangka Lhakhang, a Buddhist temple atop Thimpu. The temple is popular with locals, who consult the monks there for good tidings about their fortune, or auspicious baby names (a monk happily told my wife that we should name our next child YangchenLhamo. I hope she doesn’t take his word for it). The temple itself was a sight to behold: the whitewashed outer walls were built to withstand both the elements and invading forces, which gives the temple an imposing look. However, black-and-gold prayer wheels ring around these walls, reminding everyone that it is a place of Buddhist worship. Inside, a beautiful cobble-stoned courtyard takes up most of the central space, while spectacular Buddhist murals line the interior. Statues of various Buddhist deities are also to be seen, with the most prominent one being the thousand-armed deity of ultimate compassion, Chenrezi. Take note, however, that shoes and picture taking are not allowed inside the inner sanctum. There are also rituals that ALL visitors must take part in prior to entering, so if you visit, do what your guide tells you to do exactly how he says to do it! And, of course, no shoes inside. The temple closes at 5pm, and we are shuttled back to our hotel, where we are served dinner: this time, JashaMaroo, a type of spicy chicken stew with red rice, and a bottle of Ara, the local wine made up of fermented rice. Being a Buddhist country, the latter was offered to us sheepishly by our guide. Selling alcohol in Bhutan is illegal, although consuming it is not. We take advantage of this loophole and drink the ara, which is served hot, throughout dinner. With the wine finished, we make our way back to our rooms, with the promise of a new and even better day ahead. Despite all of the Bhutanese moonshine we consumed last night, we wake up fresh and hangover-free. The hotel serves us a traditional meal of Shakam Datshi, dried beef smothered in cheese and butter (my favorites! ), and Khur-le, a type of buckwheat pancake. 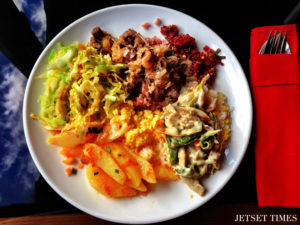 Our guide, who arrived mid-meal, tells us that hearty breakfasts like this are necessary during the cold Bhutanese days. He offers us Suja, or butter tea. If you’re wondering what butter tea is, it’s exactly what it sounds like: tea made from boiling butter and tea leaves in water. As for the taste? Well, let’s just say it’s acquired. 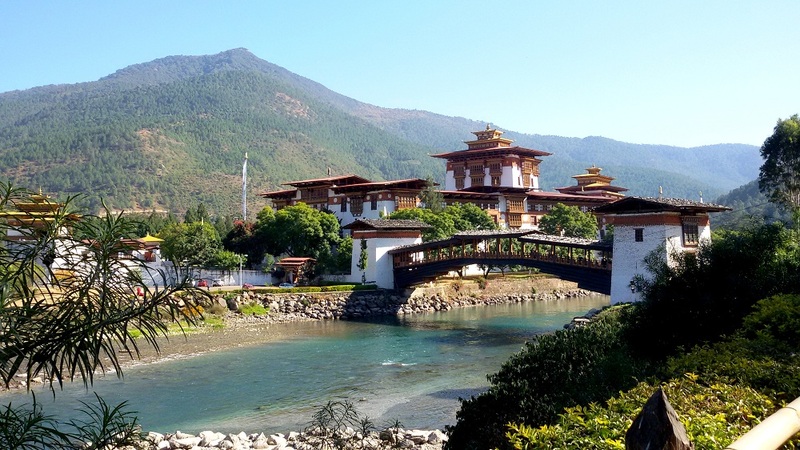 After breakfast, our guide takes us on a road trip to Punakha, Bhutan’s previous capital. Punakha is 72 kilometers away, a 3-hour ride. Our guide insists we leave a little before sunrise so that we can see some of the clearest views of the Himalayas possible. We take him up on his offer, and the first hour of our ride was riddled with ooh’s and aah’sfrom the wife and I, drawing a grin from our stoic guide. On the way to Punakha, we pass through Dochula Pass, a mountain road where we could seethe mighty Gangkar Puensum in the distance, silently watching over her beloved Bhutan. Along the pass, we passed a monument called the “108 DrukWangyalKhang Zhang Chortens”, a memorial to the Bhutanese soldiers who were killed in action in December 2003 against Indian Assamese rebels. Beyond this was the DrukWangyal Lhakhang, a temple dedicated to 100 years of Bhutanese monarchy. We were surprised at some of the murals in the temple, which were definitely NOT traditional: some murals depicted air planes and the current King in battle with the Assamese militants, while some depicted happy monks with laptops. It was well-worth the stop! Continuing our journey, we find ourselves in the town of Punakha, Bhutan’s previous capital and the administrative center of Punakha Dzongkhag. The town is famous for being the home of the Punakha Dzong, a 16th century fortress/temple built by the legendary founder of Bhutan. Our guide takes us to our hotel in a nearby village. After a quick lunch, we decide to wander around, with our first stop beingChimi Lhakhang, a temple famous for being dedicated to Lama Drukpa Kuenley, a notorious 15th century Buddhist saint nicknamed the “Divine Madman”. He got his moniker from using racy songs and lewd humor to impart Buddhist teachings. Sounds like my kind of guy, really. From Chimi Lhakhang, we make our way back to Punakha to see the Dzong. The Punakha Dzong is massive, measuring more than 500 feet in lengthand more than 200 feet wide. 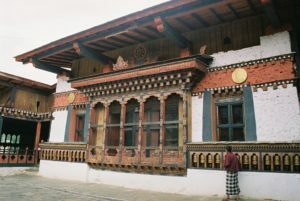 Inside the Dzong is a complex of buildings that takes care of all the administrative needs of the area, complete with office buildings, court yards, temples, courtyards, and accommodations for the monks. 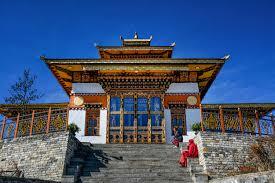 The temple is built in the Drukpa style of Tibetan Buddhist architecture and was designed to embody Buddhist values. This is also the place where the first King of Bhutan was coronated. We toured the Punaka Dzong until closing, before making our way back to our hotel. This hotel is smaller and a little more rural, but the hospitality remained the same. As we waited for our flight back to Bangalore, I couldn’t help but feel like I didn’t see enough of the Dragon Kingdom. 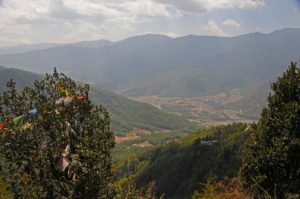 Bhutan’s beauty was absolutely breathtaking: the natural splendor that constantly surrounds you immediately puts you at ease, and the people’s friendliness seemed genuine. There was not much I didn’t enjoy about Bhutan, and I hope to one day come back to the Last Shangri-La. Have you been to Bhutan? Share with us your story!